What's crazy about the high-rise garden we know as the Gulch, is that 7 years ago, it was barely a warehouse industrial district. There were 2 restaurants and a venue.... and that's about it. Now, it's super swanky, and if you're looking for "city life" in Nashville, that's the place you want to live. Yay, more ramen! We only have a few ramen places in Nashville, so this gives us more options. The vegetarian option was delicious, and I'd also recommend the pickled veggies as a starter. It's a cozy place, so plan on waiting around - but it's worth it! What was once a food truck favorite now has a brick & mortar location, and it's DELICIOUS. Definitely not your healthiest option, but it's a tasty one. They do great breakfast and brunch options. Get yourself some Nashville hot chicken. While I haven't personally tried Party Foul, mainly because I don't eat chicken, it's usually pretty busy and I bet it's great! This place has some good GF and vegetarian options. The sides are good, and I hear the shakes are delish! They have a nice patio, too. I haven't personally been here, but I've heard great things! 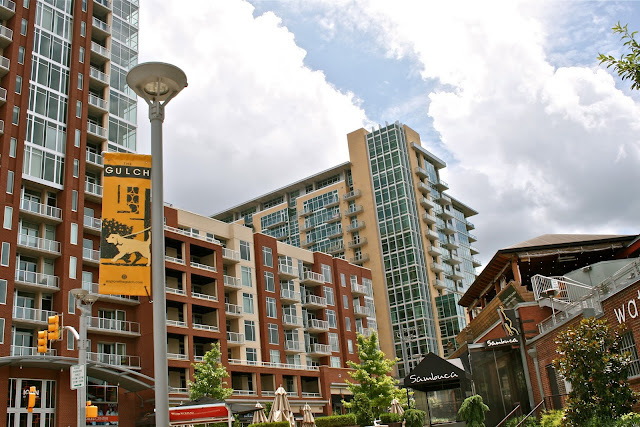 Bar Louie, The Pub, Cantina Laredo are some chains you'll find in the Gulch if you're looking for something familiar, but I'd stick to the fun, new restaurants! Jackalope is the lesser known brewery in town, but still a favorite. They host fun events and parties, and you can do a brew tour, too. Their seasonal brews are awesome! 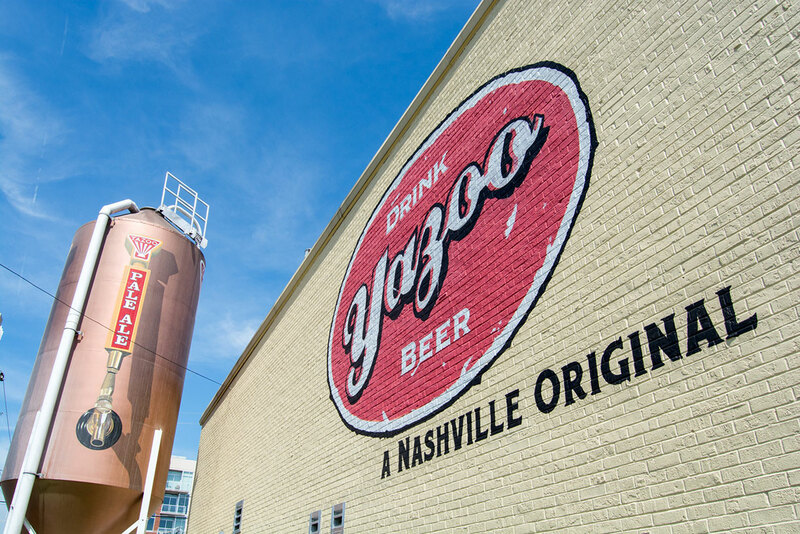 Nashville's favorite beer! Take a tour of our pride & joy. Definitely make sure you try the classic Dos Peros with a lime! Pretty new to the Gulch, but a cool space! Lots of great beers on tap and some snacks. Stop by for a great people watching spot. Ok, so this isn't traditional drinking - but if you want to get a green juice or ginger shot, this is your place in the Gulch! For all the cool kids in town, stop at Barista Parlor. They also have their location in Germantown (and East Nashville), but this one is my favorite. There is almost no parking, but you'll find a place. Ask the barista what their favorite coffee is at that moment, and order it. Zolli is attached to the Jackalope brewery, and a cute little place. It's usually pretty quiet, but it's a good cup of coffee. There's some good shopping in the Gulch, like Urban Outfitter's and a few boutiques. There's also some fitness centers. 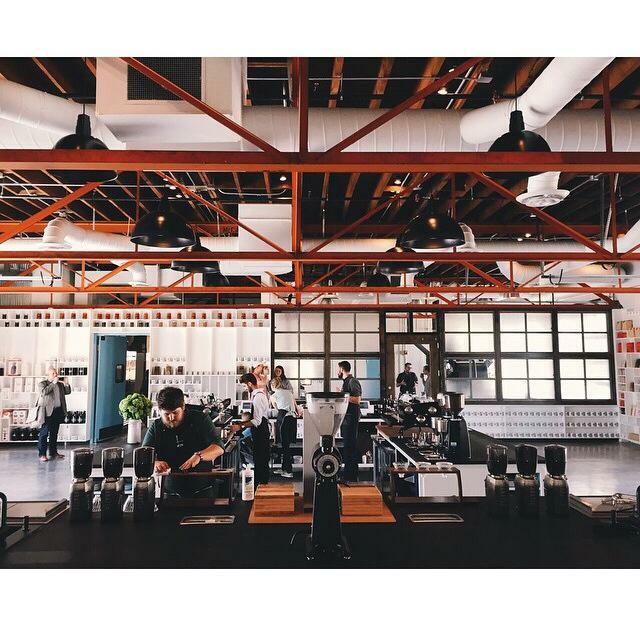 Nashville's only Barry's Bootcamp is in the Gulch as well as a barre3 location if you want to get your sweat on. The Gulch is becoming busier than it can really handle - there are a few parking garages (one at the corner of Division & 12th) that pay by the hour, there is street parking that is controlled by quarters, and there are some valet options with certain restaurants. It's best to bring a little cash with you, regardless of your plans! 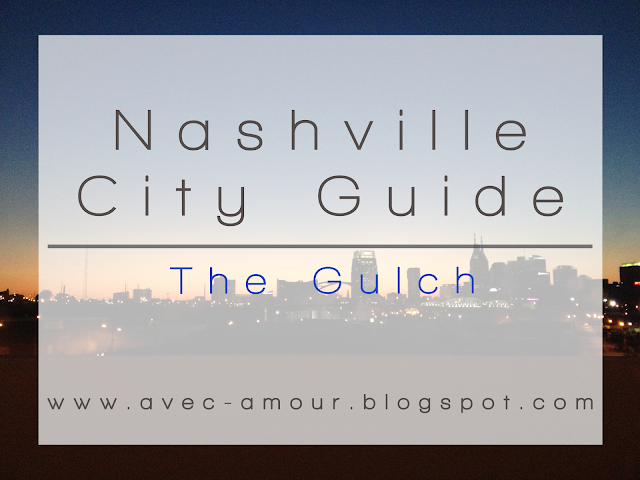 The Gulch is definitely a hot spot in Nashville, and really close to Downtown with a more chic appearance. Have you ever been?